Is Parking on the Pavement Soon to be Illegal in the UK? Home » Blog » News » Is Parking on the Pavement Soon to be Illegal in the UK? 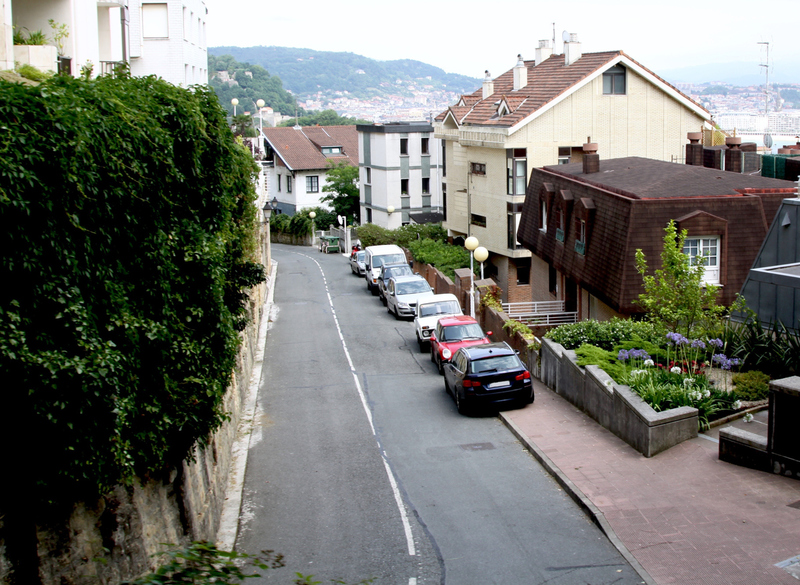 The majority of drivers will have parked on a pavement at some point to avoid blocking a narrow street. In fact, figures show that 1 in 10 motorists park on the pavement every day, with a shortage of dedicated parking giving them no other option. But as the Government considers a nationwide pavement parking ban, could the days of two-wheeling up the kerb soon be over? And what could happen if you do park on the pavement? We take a look at both sides of the argument and the recent talks around banning pavement parking. Use the links below to find the information you need or read on for the complete guide. Why is the Government considering banning pavement parking? What could the penalties be for parking on the pavement? What are the arguments for and against the ban? Could a pavement parking ban benefit drivers in the long run? Pavement parking can cause arguments between drivers and pedestrians. In narrow roads in particular some say it’s necessary to keep roads clear for traffic and emergency service vehicles, but others argue it’s an inconvenience which can cause real problems for pedestrians – particularly elderly and disabled people, and those with limited mobility. At the moment, the laws surrounding pavement parking are a bit of a grey area in the Highway Code. In 1974, it was made illegal to park on the pavement at all in London, but not the rest of the UK. While the Highway Code advises against parking on the pavement, it’s not against the law outside of the capital – unless a police officer judges it to be dangerous, that is. Because it’s not totally clear when it’s safe and legal to park on footpaths, the Government is now considering a blanket ban on pavement parking across the UK, bringing all areas in line with London. The Scottish Government has taken the lead on this, promising to introduce the ban if the party remains in power after 2021 election. The Government will investigate the issue and look at public opinion before they make a decision, but with mounting pressure from organisations like RNIB and Guide Dogs, which are both campaigning for new laws to be passed, we don’t think it will be long until new rules or a ban are introduced. 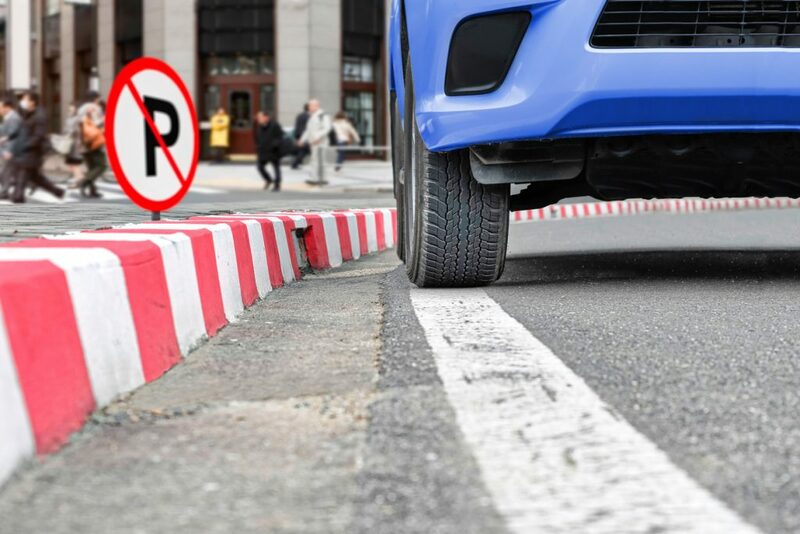 We expect that if the law’s rolled out across the country the fines will be similar to the ones in London – meaning that drivers could face a penalty of £70-£130 for parking on the kerb. The final figure will depend on the severity of the incident and how much inconvenience it caused to pedestrians, but there isn’t expected to be the added sting of penalty points. While the Government’s decision to look at changing the law on pavement parking has brought it back into the public eye, the issue has been debated for years. But whichever side of the fence you’re on, there are convincing arguments for and against a ban on parking on pavements – and we look at these below. Many argue that pavements are for people, not cars, and that parking on them can cause real problems for people with disabilities and mobility issues. Several campaigns have been launched in recent years to raise awareness of the problems pavement parking can cause for those with special needs, including wheelchair users and the blind, and these have been useful in putting pressure on the Government to consider a change in the law. One of the most successful of these has been the RNIB’s ‘Who put that there!’ campaign, which argues that people with impaired visibility are the most at risk from pavement parkers. In its campaign material, the charity suggests that people with limited vision collided with cars parked on pavements more than any other obstruction, and that this alone should be enough to prompt a change in the law. Another argument for the ban on pavement parking is the damage it can cause to kerbs and footpaths. With funding for road improvements at an all-time low, some believe that banning parking on pavements will help local authorities to save money on improving kerbs and footpaths, and instead focus their efforts and resources on fixing other issues, like potholes. On the flipside, there are some who think banning pavement parking is a bad idea, and simply another way for the Government to profit from drivers who have little option but to park up the kerb. In some parts of the country, especially in towns and cities, narrow roads often mean drivers need to mount the kerb so they don’t block the street for other road users. Those against the ban see no problem with this, provided drivers use common sense and leave enough space for pedestrians and wheelchair users. 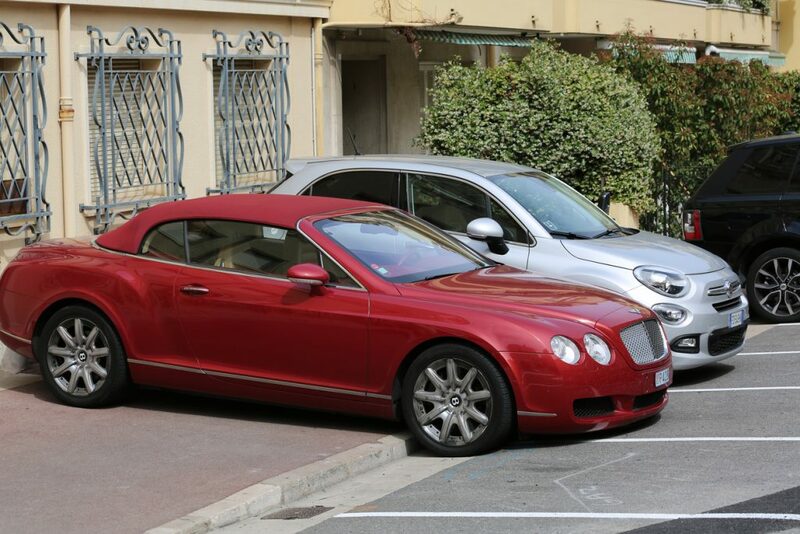 In some places a lack of parking, or expensive parking costs, mean drivers have little option. Some believe the Government should be finding ways to improve parking infrastructure to give motorists more options where to leave their cars. So, now that you’ve heard the arguments for and against, where do you stand on the pavement parking debate? We’d love to hear what you think, so let us know on Facebook or Twitter. While there are some convincing arguments for and against a blanket ban on pavement parking, there are other things to bear in mind as a driver, which might mean a ban isn’t such a bad thing. Here, we look at some of the ways a pavement parking ban could actually benefit drivers. Prevent tyre and alloy wheel damage – Mounting the kerb is never a good idea, and doing it a lot could damage your tyres and scratch your alloys. Tyres can develop bulges when they’re pushed up against a kerb, which can damage their structure and make it easier to get a puncture. Remember, always carry a can of Holts Tyreweld so if you do get a puncture you can get back on the road quickly. You won’t annoy pedestrians – Parking on the kerb may seem like the best option, but it can be a real nuisance for pedestrians if they struggle to get around your car. In a worst-case scenario, your car could actually get scratched (either accidentally or deliberately), so a ban could save you the trouble of repairing cosmetic paintwork damage. You’ll reduce pollution in your local area – Squeezing into a tight parking spot on the kerb when you head into town to go shopping may be convenient, but you’re contributing to pollution levels which could be reduced if people chose to park elsewhere, or took the bus instead. Some people argue that banning pavement parking could make drivers think twice about taking their car in the first place if it’s a hassle to find somewhere to park, and while this might sound negative, it could be a win-win for the long-term health of drivers and the environment. Holts are here to help drivers get from A to B with a range of DIY car maintenance products, which are effective on your driveway or out on the road. For more information, visit the homepage today.